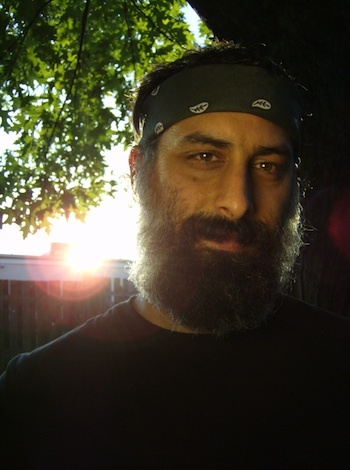 Thursday, Nov. 12, 9 p.m.
Singer/songwriter Chris Crisci, the force behind indie band Old Canes, has heard the Neutral Milk Hotel comparisons before. "Anything that has a trumpet and an acoustic guitar is automatically compared to Neutral Milk Hotel. Arcade Fire was compared to Neutral Milk Hotel," he said as he walked up the stairs of his Lawrence home toward his bedroom, cell phone in hand. "To me, Neutral Milk Hotel is fuzzed out, distorted bass and this guy's amazing voice, none of which I have. I guess they have some very up-tempo songs, too, and there's a parallel there. I love up-tempo music. There are worse bands to be compared to." No one likes to have their music compared to anyone else's, but having your songs likened to one of the most influential indie bands of the '90s ain't so bad. When his music, specifically the song "Stuck" off the Saddle Creek-released album Feral Harmonic, is compared to something off side 2 of Led Zeppelin III, well, Crisci glows. Ironically, the one band that doesn't come to mind when talking about Old Canes' dusty, big-beat folk is Appleseed Cast, the other band that Crisci fronts. In fact, Old Canes was born out of Appleseed Cast in 2001. "Appleseed Cast doesn't play acoustic shows," Crisci said during an Appleseed Cast interview we did in 2003. "We play loud, and with lots of delay. Our music is atmospheric, not acoustic. I've always told people that we don't do acoustic shows. So we were touring in Germany and the booking agent booked us an acoustic show. I told him 'I'm not going to do it.' But we get there and he said they've already set it up and people are going to show up. I said 'Jesus Christ, I'll play folk songs but not Appleseed Cast songs,' which is what we did. And everyone loved it." Just a year after that interview, those songs reappeared on Old Canes' debut, Early Morning Hymns, released by Second Nature Recordings. The release was followed by "three disastrous tours" that involved two transmission blow outs and running out of money. "I couldn't afford to go out on the road anymore, and then Appleseed started touring again," Crisci said. Shortly afterward, he started writing the songs that would eventually make up Feral Harmonic. "I was kind of dilly-dallying and didn't feel a whole lot of urgency to get it done," Crisci said. "I was telling people that it was coming out really soon, but it just never got completed until I hooked up with Saddle Creek and started recording in earnest." Crisci's Saddle Creek connection goes back to 1998. "Appleseed Cast and Cursive did seven tours together. We brought Cursive to Europe for the first time," he said. But it was an intern at the label who brought Old Canes to Saddle Creek. "He told me I should talk to Saddle Creek because they liked Early Morning Hymns. When it was time to reach out (with Feral Harmonic) I texted (Cursive's) Tim Kasher, and asked if he thought they'd want to put this out. He said, 'Let me tell them you'll be calling.'" While Crisci met label exec Jason Kulbel a year ago, he said he only met fellow Creek exec Robb Nansel a couple weeks ago when Old Canes performed at the label's College Music Journal (CMJ) showcase in New York. "It's amazing how warm they've all been," he said. "I felt instantly like family." 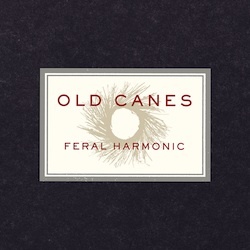 With its unique, personal songwriting, Old Canes is a good fit for Saddle Creek. Feral Harmonic's simple production -- it was recorded in Crisci's basement on $400 worth of equipment -- has a loose, organic feel that comes from never recording more than three takes of any track. While Appleseed Cast's music glows with the force of a jet airliner taking off right over your head, Old Canes' music sounds frantic and reckless, like a six-horse-powered covered wagon violently bouncing rider-less across a dusty prairie. It's that exuberance that Crisci said makes it such a good contrast to his other band. "It's a totally different energy," he said. "With Appleseed Cast, there's a ton of energy, but with Old Canes it's more visceral, more immediate. It's celebratory. It's the kind of music that I always wanted to play. Until the first record, I never thought of it as a commercial type of venture, I just played the music and loved it. I love Appleseed Cast too, but Old Canes is more selfish. I don't have to worry about anyone's opinion about any part of it. And that's very freeing." Joining Crisci as part of the Old Canes band is drummer John Momberg (a fellow member in Appleseed Cast), cello/percussionist Lucas Oswald (Minus Story), trumpet/banjo/harmonica player Kelly Hangauer (Fourth of July) and melodica/mandolin/bell player Taylor Hollenbeck. Published in The Omaha Reader Nov. 12, 2009. Copyright © 2009 Tim McMahan. All rights reserved. "It's the kind of music that I always wanted to play. Until the first record, I never thought of it as a commercial type of venture, I just played the music and loved it."